Most Homes Contain Electric Water Heaters Due To Their Convenience. Electric water heaters are the most common type found in households and businesses…. Every homeowner asks themselves which water heater system is best for their homes. Water heaters are one of the top appliances that has a large expense in our homes. Thus, homeowners should choose the correct type of water heater and size to keep the energy cost and comfort. There are four types of water heater systems, three of these systems are a whole-house system, except the point-of-use system. If you plan on purchasing a water heater, consider the capacity that they hold. If you want a storage-tank heater, consider the first-hour rating and for a tankless water heater, consider the gallons per minute. 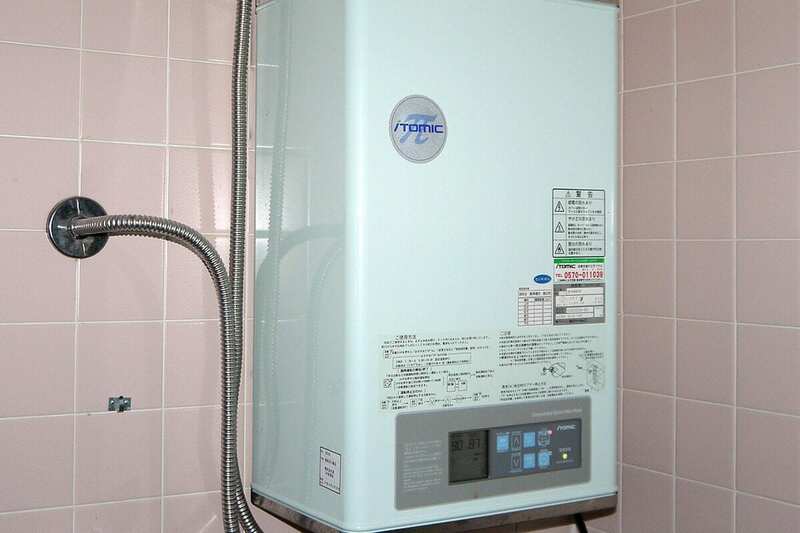 Electric water heaters use electric resistance coils and a domestic power source. These water heaters are a disadvantage for a large family, as it has a shortage in the demand of hot water. This is because it has a slower recovery rate than the gas water heater. More so, it has electric units that are at risk for power outages. However, it is much more efficient than the conventional gas water heaters but the savings in actual energy consumption are mitigated by the higher costs of electricity as opposed to gas. The most popular electric water heaters will range from $300 to $2,900. Although, gas units have lesser lifespan than electric water heaters this can still change because of the quality of the water and owner maintenance. Here are simple reminders for you to keep your electric water heater running until its 15-year expected lifetime. Calibrate the thermostat setting to 120 degrees: This can make you conserve 5 percent energy cost. Every rise of 10 degrees, reduce the temperature this does not only save your energy cost but also decrease the possibility of scalding. Maintain a 2-feet space around the appliance: This is to promote safety. Do not forget to flush out about a quarter of the tank: To remove the sediments and debris that has accumulated, drain or flush the tank. When the water still remains cloudy, open the valve of the water supply to stir the existing sediment, and flush the tank. For every three years, assess the sacrificial anode rod: This is to check the efficiency and capacity of the rod, loosen the hex head screw and remove it. The rod needs to be replaced if there is 6 inches or more of the core steel wire is exposed; the rod has become thin that it is ½ inch thick; and if there is calcium coated to the rod. If the water heater is an older unit, insulate it: To improve the efficiency of your old water heater, insulate it with a fiberglass jacket. Do not miss out the cold and hot water pipes, they should also be insulated. If you are using a new unit of a water heater, you do not have to worry. They are already insulated. Do not forget to set the thermostat to ‘vacation setting’: When you are planning to go out of town for a vacation, your water heater should be set to vacation setting too. This is to maintain the pilot light without the water being heated. When you perform a maintenance repair or check on the water heater system, do not forget to wear your personal protective equipment (PPE), such as goggles, gloves, and protective clothes. If you are using an electric water heater system, turn off the power of the water heater. If you are using a gas water heater system, so the pilot light will be put out. Do not forget to close the cold-water inlet of the water heater. Place a bucket under the temperature and pressure relief device to catch the water from it. Pull the tip of the lever of the valve. A slight hush of air will be heard or an evidence of water and vapor will be seen coming out via the pressure relief valve. If a hush will not be heard or no vapor will be seen, empty the tank and change the valve. If it happens that you need to change the valve, take off the discharge pipe and then unscrew the valve from the water heater. You have to take note of its stem length, and purchase the exact replacement. In line with maintaining a good condition of the water heater system, you have to flush the tank. There will be buildups of sediments inside the tank that can reduce the energy efficiency of the water heater system, and it can also clog the water lines. It is a must to prevent having these problems and increase the life and efficiency of your water heater system, thus flush out the tank every time you inspect the pressure relief valve. A garden hose should be connected to the drain valve of the tank. You have to find an area for the draining end of the hose that cannot be affected by the presence of the hot water. When the pressure relief valve is open, the drainage valve should be open and let the tank completely drain the water. When you completely drain the tank, it ensures that you have removed all of the possible sediments that have accumulated. Close the drain valve of the tank, the garden hose should be disconnected from the valve and the pressure relief valve should be closed. All of the hot-water spigots should be open, and turn the cold-water inlet. When water begins to flow, each of the hot-water spigot should be closed. When all of the hot-water spigots are closed, the electricity to the water heater should be turned on, or the gas switch should be turned on. Being exposed to a cold temperature, warm water becomes a necessity. Thus, it is essential to maintain the water heater system in your home. Proper maintenance of the water heater system at your home can ensure that it will last, and it can prevent from spending more. Save the hassle and expenses of a premature replacement.